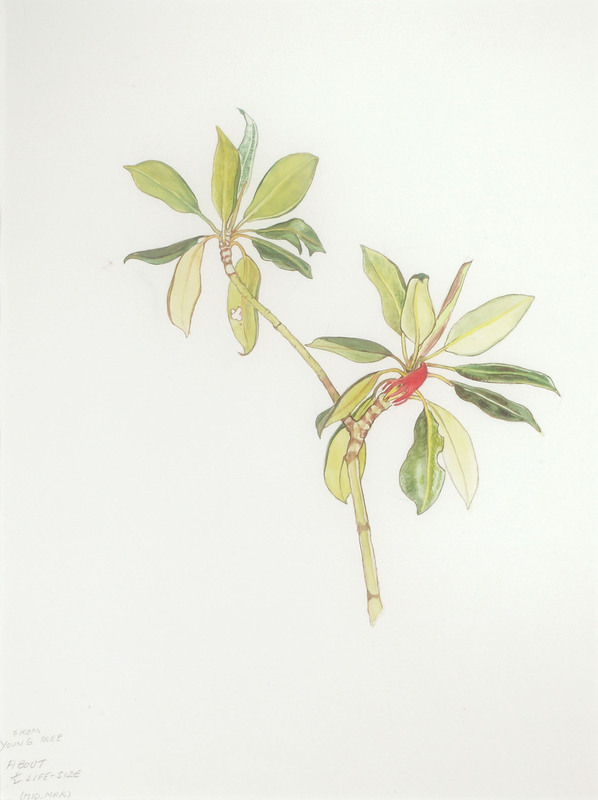 Image above: Rosemary Opala, (Botanical study, Bruguiera gymnorhiza, Coochiemudlo Island) n.d., watercolour on paper. Redland Art Gallery Collection. Gift of the estate of Rosemary Opala, 2009. Courtesy of the estate of Rosemary Opala. Photography by Carl Warner.